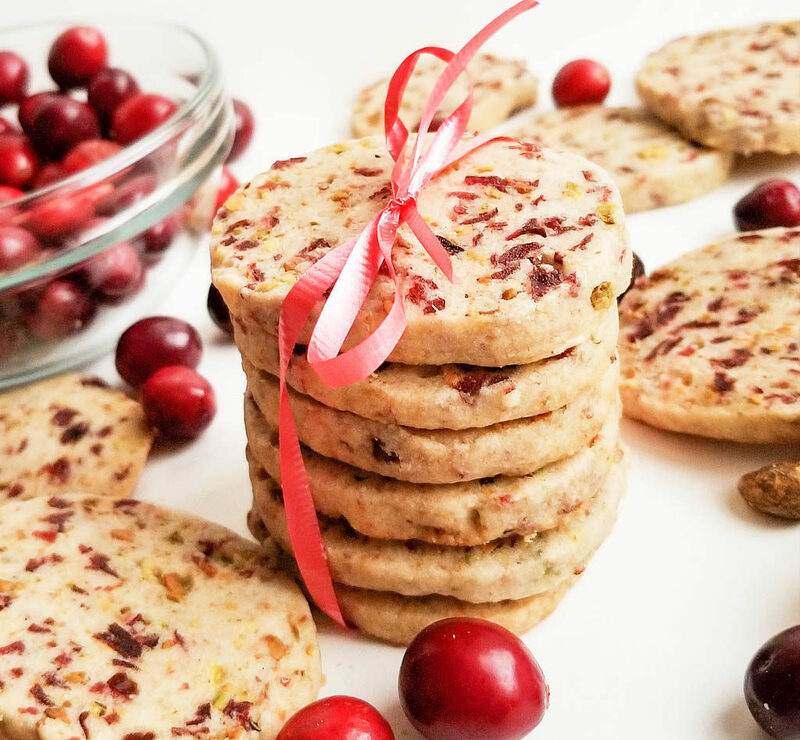 The holidays are here which means it’s time to kick-off the holiday baking! 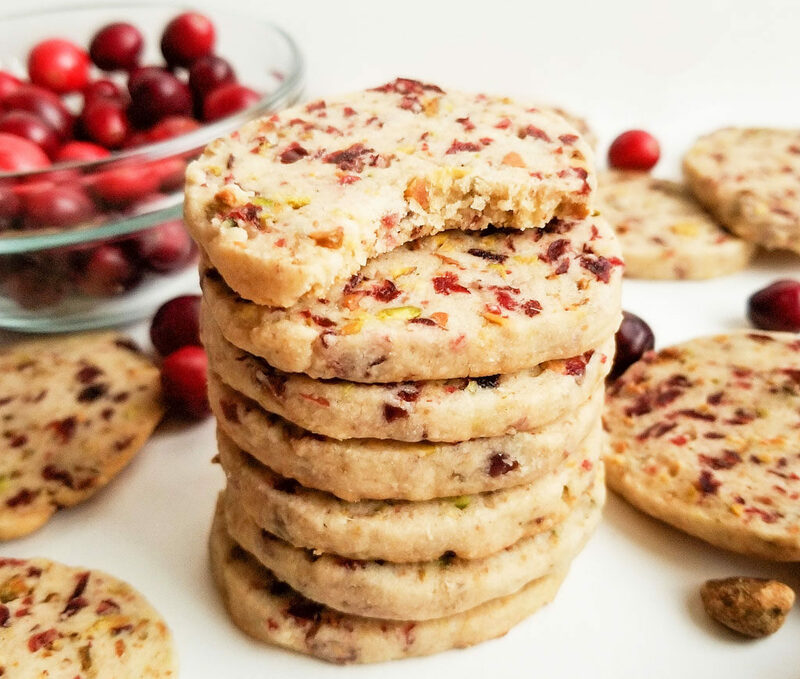 These Ginger Cranberry Pistachio Shortbread Cookies seriously scream, “Happy Holidays!” Whip up a batch today, and I guarantee they will put you in a jolly mood! It’s almost Christmas, y’all!! I’m sooo excited!! Christmas is my ABSOLUTE favorite time of the year! Everything about Christmas is so magical! I love putting up Christmas decorations (I actually started putting up my décor in October lol), looking at Christmas lights, and baking like there’s no tomorrow! Lol! My excitement for Christmas started when I was a little girl. My mom made such a big deal about the holiday season! 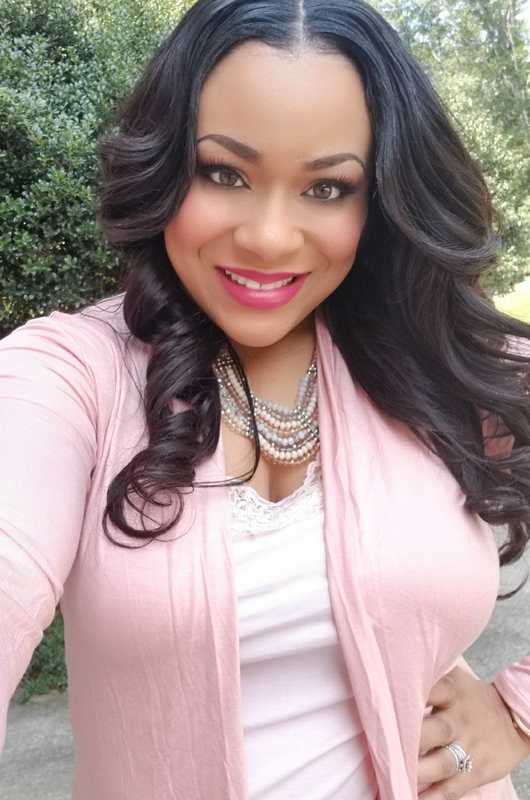 She would keep the house stocked with hot cocoa and Christmas mugs…. and we would watch Christmas movies and wonder what time Santa Claus was making his big appearance! I especially enjoyed leaving cookies for Santa! We would normally leave Chips Ahoy Chocolate Chip Cookies and a glass of milk! I’m not really sure why I was obsessed with that particular brand of cookie…I think I was convinced that Santa loved chocolate chip cookies! Lol! Shortbread cookies have always been a favorite of mine! I love the texture; they are so buttery and they tend to melt in your mouth! Since I am COMPLETELY in full holiday mode right now, I wanted to make a festive cookie! 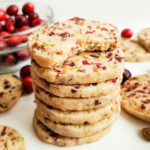 I decided to use cranberry and pistachio for their beautiful color combination, and of course, yummy taste! 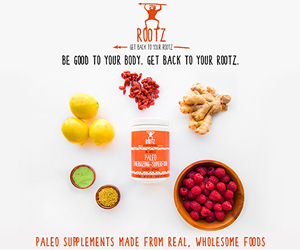 I chose to add the ginger which brought out the sweet and tart taste of the cranberries even more! 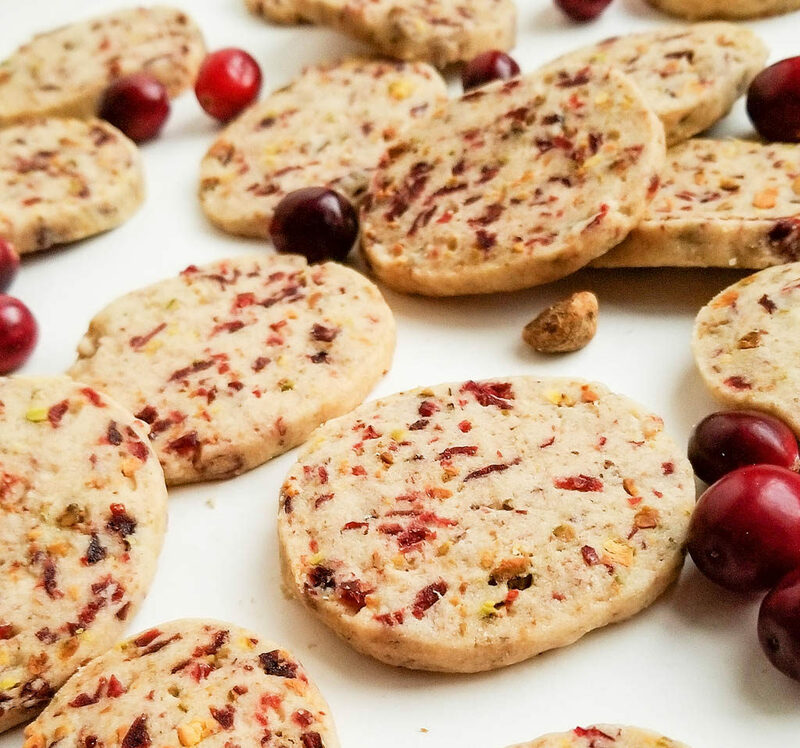 These Ginger Cranberry Pistachio Cookies are a MUST for your next cookie swap party, holiday party….or you can shock Santa this year and give him something besides store bought chocolate chip cookies! Lol!! ? Preheat oven to 325 F and line a cookie sheet with parchment paper. In a large bowl, combine flour, sugar, and salt. Add flour mixture, butter, and ginger to a food processor or blender and pulse until all ingredients are combined. Add in almond extract, vanilla, and cranberry juice and pulse until mixture is crumbly. Be sure not to overmix. Add ingredients back to bowl and fold in pistachios and cranberries. Transfer cookie dough onto a floured surface. Knead and roll dough into a log. Cover with plastic wrap and refrigerate for approximately one hour. After about an hour, slice cookies and arrange on cookie sheet. Bake for 14-16 minutes or until bottom and edges are lightly golden. I’m totally going to make these!!! Thanks for the recipe, Andy! Yayy! They were really easy to make and so good! Let me know how they turn out! !